This is a very clean 2 Owner 2007 Toyota 4Runner SR5 4x4 with a clean accident free Auto Check Report. Non Smoker! Very clean interior, and very nice exterior. Good tires all the way around! Plenty of room for everyone with seating for up to 5 passengers, with plenty of room for all of your stuff in the back! 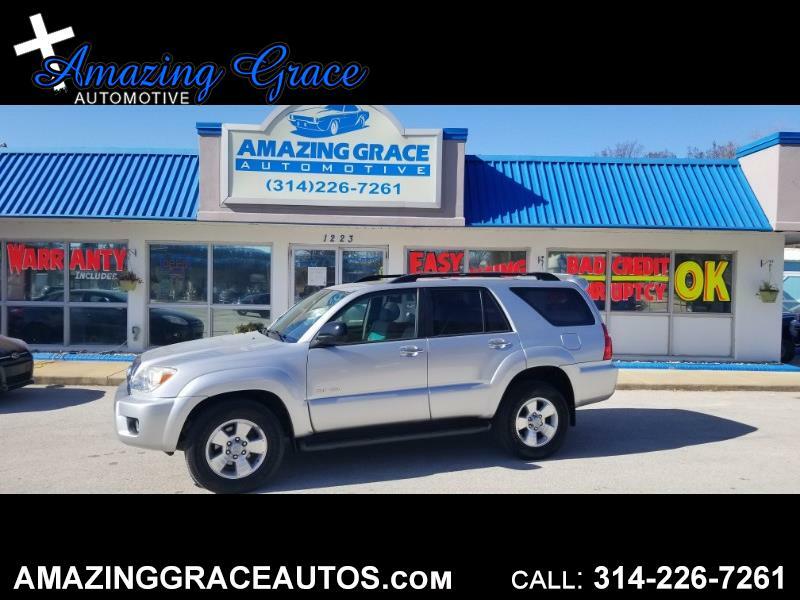 If you are looking for clean, reliable, good looking suv, you may have just found it! This 4Runner is powered by a strong and fuel efficient 4.0L V6 that is paired with a smooth shifting automatic transmission with overdrive. Other great features include: Power Moon Roof, Roof Rack, Tow Pkg, Alloy Wheels, Power Rear Window, SR5 Pkg, Running Boards, Hill Descent Control, Hill Start Assist, Traction Control, Stability Control, 4 Wheel ABS Brakes, Cruise, Premium Sound, Front and Side Airbags, and much more!